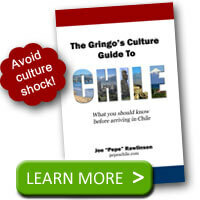 Home / Travel / Travel Tips / How much do you tip a waiter in Chile? How much do you tip a waiter in Chile? Regardless of the standard in your home country, the accepted norm for waiter tips in Chile is 10%. In fact, the bill you get will often suggest the tip or propina of 10%. The challenge for you may be even getting the check. In Chile, it is customary to ask for the check. If you wait around thinking that the waiter will bring you the check, you’ll be waiting a long time. Flag down the waiter and request la cuenta, por favor and they usually will deliver it promptly. 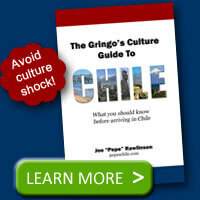 Chileans are fond of eating and then staying to socialize for quite some time. Thus the waiter isn’t sure you are done until you actually request the check. One caveat in tipping is if you are eating at a restaurant that is used to foreigners. In that case, they may be expecting a bigger tip since foreigners will typically follow the cultural norms from their homeland and give a 15-20% tip. Nevertheless, you now know the rules and can tip accordingly. It is interesting to note that tipping waiters is different from taxi drivers. Remember: you don’t have to tip taxi drivers in Chile. SOLO QUERIA AGREGAR QUE EL 10% DE LA PROPINA NO ES UN TEMA OBLIGATORIO..
SI UNO COMO COMENSAL QUIERE AGREFAR ESE 10% LO DEJAS EN LA CUENTA…PERO SI QUIERES DEJAR MENOS DINERO IGUAL LO PUEDES HACER. AUNQUE EN ALGUNOS LUGARES NI TE PREGUNTAN ….T LO AGREGAN NO MAS A TU DEUDA SIN PREGUNTAR…. ASI QUE OJO PARA QUIENES PAGUEN UNA CUENTA DE RESTAURANT. Sary makes a good point. The tip isn’t mandatory. Feel free to tip what you feel appropriate based on the service you receive. Additionally, as she points out, you need to make sure that the tip wasn’t automatically included already on the check before you leave something additional. I come from a country where tipping is NOT customary. To us, paying staff is the responsibility of management, not customers. A tip is only offered for exceptional service and we find it strange that a tip should be expected even if the service provided is average or even poor. @Alex – it is interesting to see how tipping is viewed around the world. I feel like one should adopt the tipping culture of the country being visited. In this case, Chileans have a certain level of expectations that I described in the article and Sary elaborated on in her comments. As Sary said, you can get away with tipping only for exceptional service since tips are not obligatory.